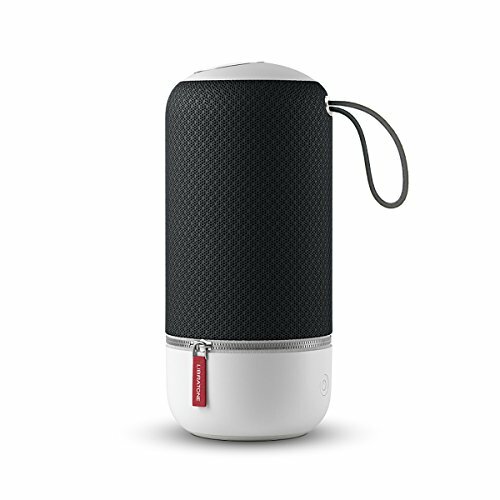 AMAZING SOUND: Our biggest and best sounding speaker featuring Libratone’s award winning signature sound that delivers deep bass, full midrange, crisp highs, 60-watts of power, and 360° FullRoom acoustics. WIFI & BLUETOOTH CONNECTIVITY: Use WiFi for longest range and high fidelity music quality, or Bluetooth to stream from any device. Also supports Airplay (iOS), AirPlay 2 (coming soon), DLNA (Android) and Spotify Connect. PAIR UP TO 6 ZIPPS: Create immersive SoundSpaces in one room or multiple rooms (or outside). Add additional speakers to your home audio system whenever you are ready.